Shopping worlds are changing. Design, atmosphere, vibrancy, quality of stay and a combination of online and offline offers determine the competition. 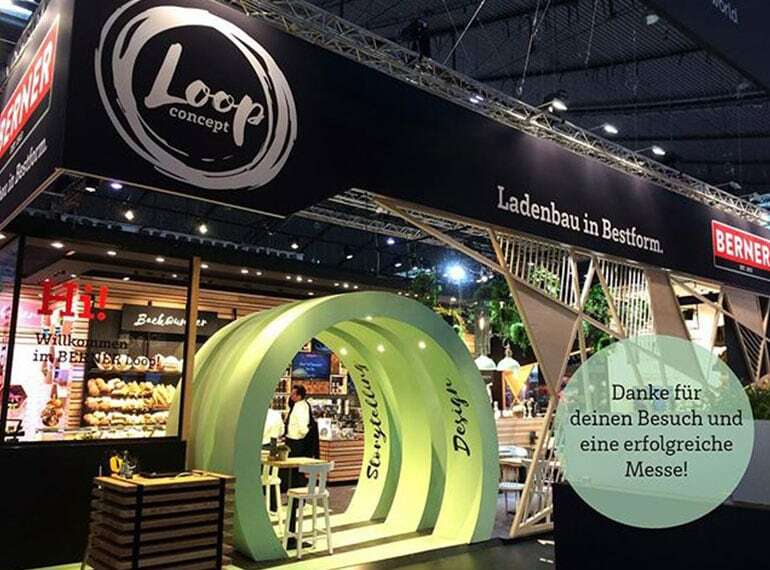 In our capacity as a trendsetter in the industry, BERNER once again demonstrates its openness and forward-looking approach with its new Loop Concept at this year’s Südback trade fair in Stuttgart. With our openness to trends combined with extensive industry expertise and well-coordinated processes, we offer advanced shop fitting solutions from a single source. Many processes, expertly united by BERNER – that’s our Loop Concept. At the fair, BERNER will showcase innovations in design, technology, concepts and food. While others might say, “Just look, don’t touch,” we will offer BERNER visitors a day in our comprehensive store concept with a show cooking event and visitor participation. Visit us from 23 to 26 September 2017 in Stuttgart in Hall 1, Stand C46. We look forward to seeing you there!